This LP has 66 parts. The Budokai Tenkaichi series (called the Sparking! series in Japan) is known for bringing the world of DBZ into 3d in a big way. The first game received pretty decent reception, and set the foundation for a unique game that made use of Dragon Ball Z's unique combat in the form of game mechanics. That game being Budokai Tenkaichi 2. The third may be better remembered for a variety of reasons, but for me, this is where the real show starts. As said above, Budokai Tenkaichi 2 makes an attempt to translate DBZ's crazy combat into playable format, and the result is equally reflex-based and skill-based. There are a variety of options to choose from at every turn, and you need to make your choices within a split-second if you hope to come out on top. There's really nothing else quite like this in the world of fighting games, or action games in general for that matter. 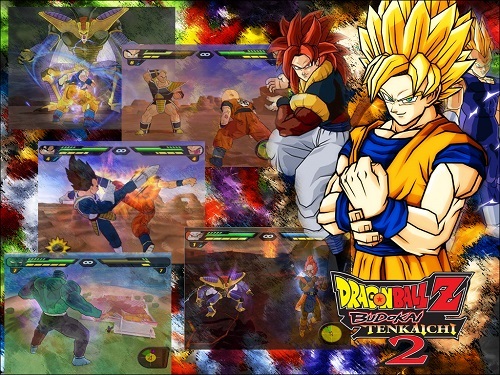 I consider Tenkaichi 2 to be an example of a licensed title done near-perfectly. I'll be playing through the incredibly lengthy "Dragon Adventure" Story Mode, and having a good time talking about DBZ, why I love it so much, and why so many other people love it so much. I'll discuss the actual gameplay in an informative fashion, as well. So, let's just kick back and have a blast.